#4 Wilkinson Swords made a reproduction of this smallsword, I believe it came out in the 70's. 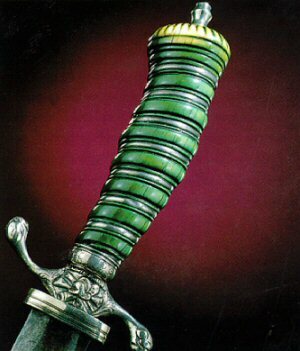 #5 Hanwei makes a reproduction of this smallsword. #7 Anyone know of any others? Thanks for the pics! #6 is interesting, as the design has a late 1600s feel to it. Wonder if it had been in the family for awhile? 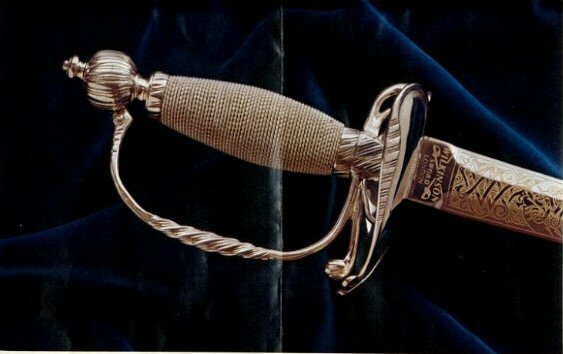 Stephen, Neumann says the sword on the left in your second picture was the one he wore when resigning his commission and at his '89 inauguration. 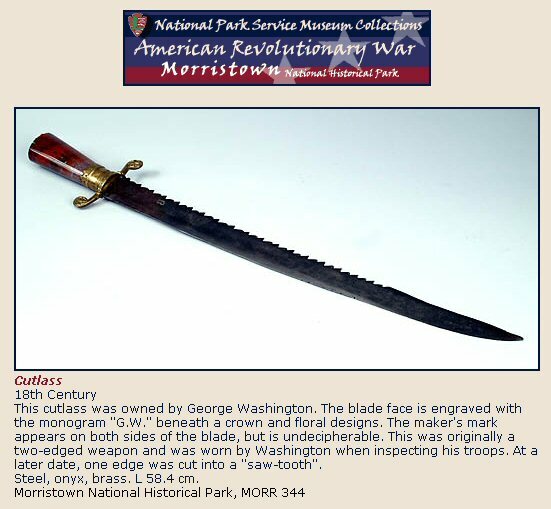 Warren Moore shows the same sword, saying "according to tradition he favored this sword for state occasions." 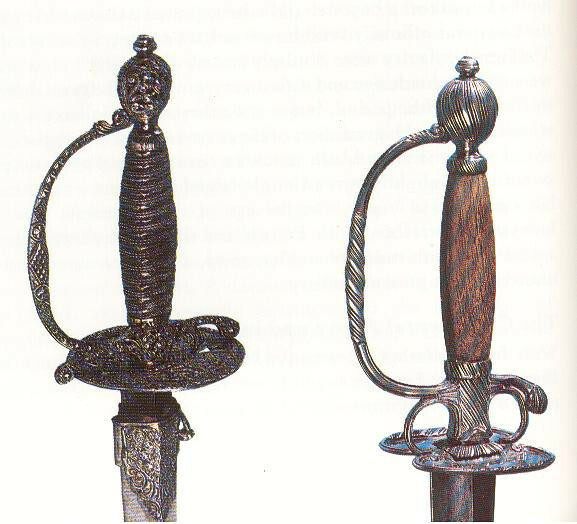 BTW, Neumann says the sword on the right in that pic is the one he wore on the Braddock expedition. 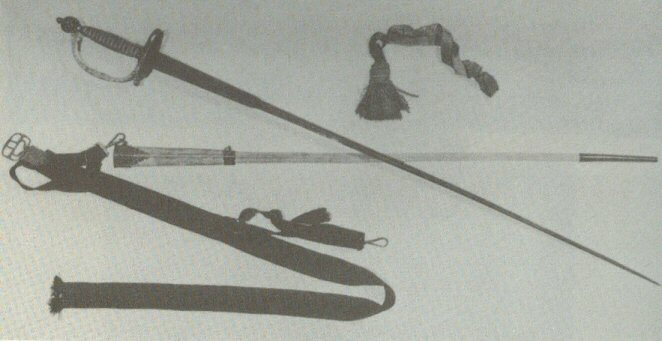 The hunting sword in the last pic is the one I've seen described as his field sword during the AWI. Here is another picture of the hanger shown in picture number 7 - very nice! Are small swords typically sharpened? Or are they primarily used for thrusting like a Rapier? Good question, I wish I knew more about it,. I've never seen it pictured anywhere else. 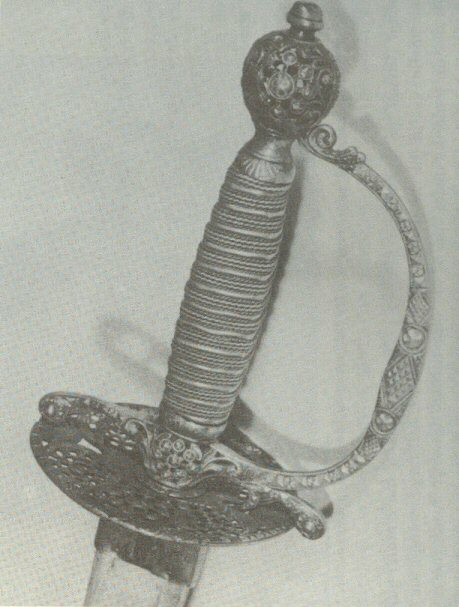 The smallsword in picture #1, is alleged to have been given to him by Frederick the Great of Germany. 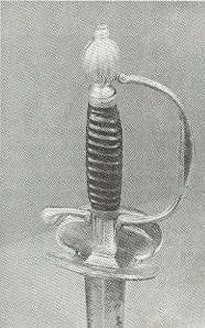 The smallsword was a thrust-only weapon. Are small swords typically sharpened? Typically, no. But I'm sure there are exceptions. In Alfred Hutton's book "The Sword Through the Centuries" pg.226 there is an account of a duel that took place in 1712. Hutton notes: "......The nature of the wound on both sides suggests that they must have been inflicted with weapons edged as well as pointed, and that the two noblemen were armed, not with the triangular "colichemarde," but with the more antiquated, flat, double edged small sword. In both cases they were very broad wounds, which would not have been caused by a simple puncture, and in both cases there was complete severance of an artery; while the mangling of Lord Mohun's left hand was the evident result of his attempting either to parry or to seize his enemy's sword with it,......"
note: Hutton refers to the "flat, double edged smallsword" as antiquated. Though, at the time, the colichemarde was in vogue. 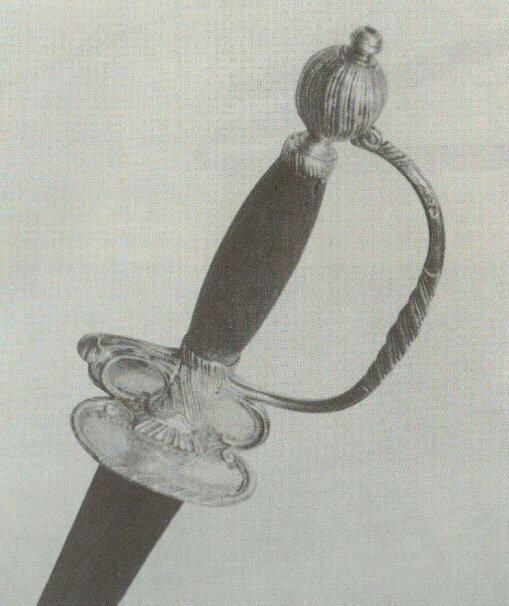 The "flat, double edged smallsword" would ultimately out live the colichemarde, while not always the most popular, the former can be found on 19th century smallswords. 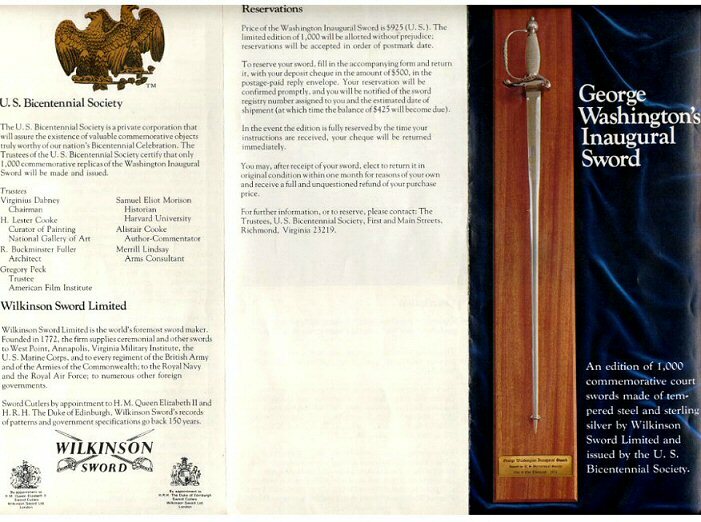 Here is a picture the brochure of reproduction made by Wilkinson swords that came out in 1974. I saw one of these last year at a gun show. It was an extremely well made beautiful reproduction. 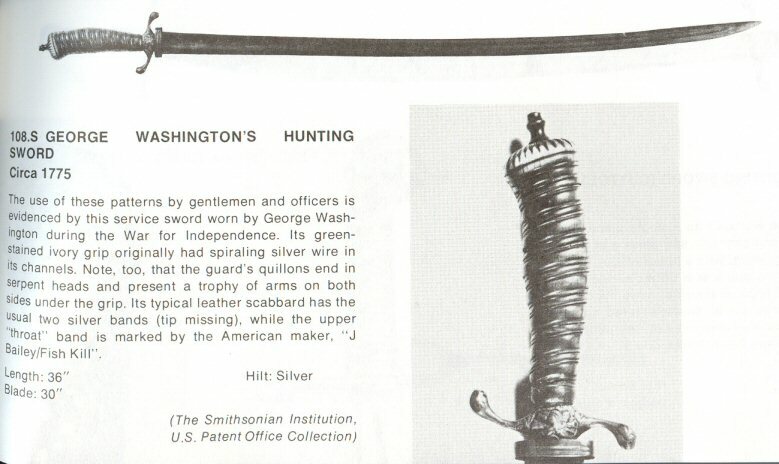 "British silver-mounted smallsword with colichemarde blade, c. 1760-1770 used by George Washington. 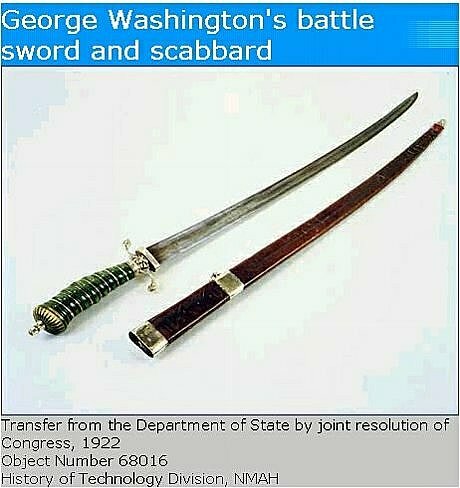 According to traditions he favored this sword for state occasions." 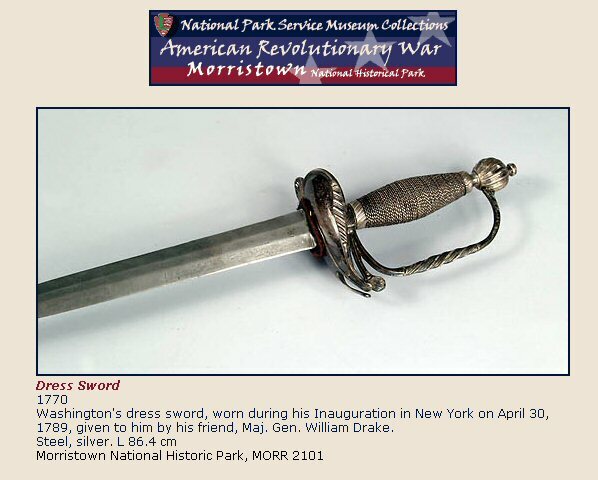 "French silver-mounted small sword of 1753-1754 carried by George Washington on the Braddock expedition."